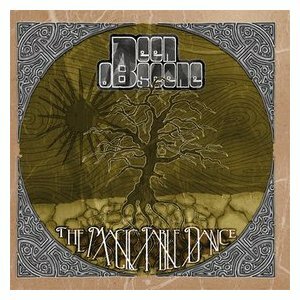 Been Obscene - "The Magic Table Dance"
Been Obscene are a new Austrian band that plays a more mainstream form of stoner rock. They are for sure Colour Haze inspired in the way the guitar sounds and the way he riffs on some of the tracks (title one) but that is about it. The title track starts things off and this starts off with stoner riffing then slowly picks up pace and the same riff is repeated over and over as the track really builds up, but sadly, only riffs, until a not very interesting guitar solo appears at the end to give the track some variation. One might say this is a bit Rotor inspired as it is all instrumental. Uniform changes things totally now with a kind of Colour Haze meets QOTSA sound. Come Over slows things down with a slow groove and relaxed vocal as well. The band kicks it up about 2 minutes in and its a pretty melodic stoner vibe with an obvious nod to QOTSA as well. They return to the cool laid back beginning at the end. Freakin' Rabbit is a short 2 minute instrumental piece. Impressions starts with a pretty cool sounding guitar and this track has a slight effect on the vocal that makes it a bit more psychedelic and the vocal is mixed a bit higher as well. I am not too keen on the chorus but otherwise a pretty cool track. Demons is a long 14 minute track with a lot of different parts and is very Colour Haze inspired. Ring Ring is a short 1½ minute instrumental track that does not serve much point really as it comes across as a unfinished track that should have gone somewhere interesting but didn't or they should have continued with some cool solos or totally different direction like a band like Rotor. The CD ends with the 8 minute track, How it Feels. It starts with a laid back groove and melodic guitar line that is repeated over and over for a bit and the melodic vocal kicks in. They rock it out though and a cool way to end the CD. I think a lot of people will like this more than I did. Check them out.